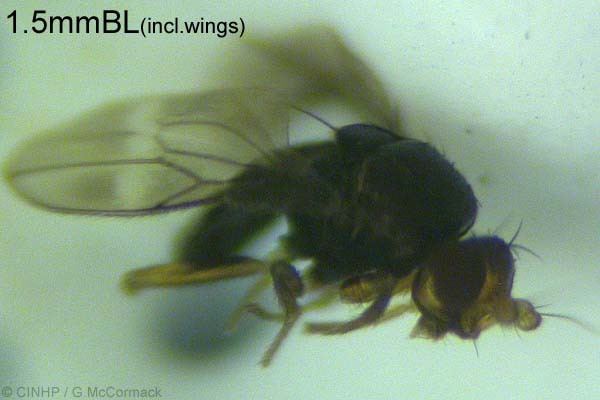 KEY FEATURES: Tiny fly, to 1.5mmBL(incl.wings). Thorax and abdomen black. WINGS translucent with darker areas; veins dark. HEAD pale brown with large dark eyes; antennae short and thick, with terminal black bristle to 0.5mm. LEGS pale brown. MOVEMENT walked and leaped.